Engineering is the discipline of applying technical and scientific knowledge and physical resources to design and produce materials, structures, machines, devices, systems, and processes that meet a desired objective under specified criteria. Engineering encompasses a range of specialized subdisciplines, each with a specific area of emphasis and related to a particular area of technology. Examples include chemical engineering, electrical engineering, environmental engineering, mechanical engineering, and so forth. A person who practices engineering is called an engineer. Those licensed in specific areas of engineering may have formal designations such as Professional Engineer, Chartered Engineer, or Incorporated Engineer. Later, as the design of civilian structures such as bridges and buildings matured as a technical discipline, the term civil engineering entered the lexicon as a way to distinguish between those specializing in the construction of such non-military projects and those involved in the older discipline of military engineering (the original meaning of the word “engineering,” now largely obsolete, with notable exceptions that have survived to the present day such as military engineering corps, e.g., the U. S. Army Corps of Engineers). The Acropolis and the Parthenon in Greece, the Roman aqueducts, Via Appia and the Colosseum, the Hanging Gardens of Babylon, the Pharos of Alexandria, the pyramids in Egypt, Teotihuacán and the cities and pyramids of the Mayan, Inca and Aztec Empires, the Great Wall of China, among many others, stand as a testament to the ingenuity and skill of the ancient civil and military engineers. The earliest civil engineer known by name is Imhotep. As one of the officials of the Pharaoh, Djosèr, he probably designed and supervised the construction of the Pyramid of Djoser (the Step Pyramid) at Saqqara in Egypt around 2630-2611 B.C.E. He may also have been responsible for the first known use of columns in architecture. An Iraqi by the name of al-Jazari helped influence the design of today's modern machines when sometime in between 1174 and 1200 he built five machines to pump water for the kings of the Turkish Artuqid dynasty and their palaces. 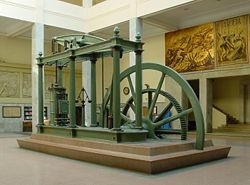 The double-acting reciprocating piston pump was instrumental in the later development of engineering in general because it was the first machine to incorporate both the connecting rod and the crankshaft, thus, converting rotational motion to reciprocating motion. It is impossible to over emphasize the importance of al-Jazari's work in the history of engineering, it provides a wealth of instructions for the design, manufacture and assembly of machines. Even today some toys still use the cam-lever mechanism found in al-Jazari's combination lock and automaton. Besides over 50 ingenuous mechanical devices, al-Jazari also developed and made innovations to segmental gears, mechanical controls, escapement mechanisms, clocks, robotics, and protocols for designing and manufacturing methods. Electrical Engineering can trace its origins in the experiments of Alessandro Volta in the 1800s, the experiments of Michael Faraday, Georg Ohm and others and the invention of the electric motor in 1872. The work of James Maxwell and Heinrich Hertz in the late nineteenth century gave rise to the field of Electronics. The later inventions of the vacuum tube and the transistor further accelerated the development of Electronics to such an extent that electrical and electronics engineers currently outnumber their colleagues of any other Engineering specialty. Even though in its modern form Mechanical engineering originated in Britain, its origins trace back to early antiquity where ingenuous machines were developed both in the civilian and military domains. The Antikythera mechanism, the earliest known model of a mechanical computer in history, and the mechanical inventions of Archimedes, including his death ray, are examples of early mechanical engineering. Some of Archimedes' inventions as well as the Antikythera mechanism required sophisticated knowledge of differential gearing or epicyclic gearing, two key principles in machine theory that helped design the gear trains of the Industrial revolution and are still widely used today in diverse fields such as robotics and automotive engineering. Chemical Engineering - The conversion of raw materials into usable commodities and the optimization of flow systems especially separations. Computer Engineering - The design of Softwares and Hardware-software integration. Environmental Engineering - The application of science and engineering principles to improve the environment (air, water, and/or land resources), to provide healthy water, air, and land for human habitation and for other organisms, and to remediate polluted sites. With the rapid advancement of Technology many new fields are gaining prominence and new branches are developing such as Computer Engineering, Software Engineering, Nanotechnology, Molecular engineering, Mechatronics etc. 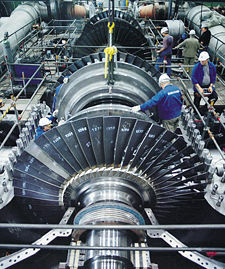 These new specialties sometimes combine with the traditional fields and form new branches such as Mechanical Engineering and Mechatronics and Electrical and Computer Engineering. Engineers typically attempt to predict how well their designs will perform to their specifications prior to full-scale production. They use, among other things: prototypes, scale models, simulations, destructive tests, nondestructive tests, and stress tests. Testing ensures that products will perform as expected. Engineers as professionals take seriously their responsibility to produce designs that will perform as expected and will not cause unintended harm to the public at large. Engineers typically include a factor of safety in their designs to reduce the risk of unexpected failure. However, the greater the safety factor, the less efficient the design may be. One of the most widely used tools in the profession is computer-aided design (CAD) software which enables engineers to create 3D models, 2D drawings, and schematics of their designs. CAD together with Digital mockup (DMU) and CAE software such as finite element method analysis allows engineers to create models of designs that can be analyzed without having to make expensive and time-consuming physical prototypes. These allow products and components to be checked for flaws; assess fit and assembly; study ergonomics; and to analyze static and dynamic characteristics of systems such as stresses, temperatures, electromagnetic emissions, electrical currents and voltages, digital logic levels, fluid flows, and kinematics. Access and distribution of all this information is generally organized with the use of Product Data Management software. In science fiction engineers are often portrayed as highly knowledgeable and respectable individuals who understand the overwhelming future technologies often portrayed in the genre. The Star Trek characters Montgomery Scott, Geordi La Forge, Miles O'Brien, B'Elanna Torres, and Charles Tucker are famous examples. Occasionally, engineers may be recognized by the "Iron Ring"—a stainless steel or iron ring worn on the little finger of the dominant hand. This tradition began in 1925 in Canada for the Ritual of the Calling of an Engineer as a symbol of pride and obligation for the engineering profession. Some years later in 1972 this practice was adopted by several colleges in the United States. Members of the US Order of the Engineer accept this ring as a pledge to uphold the proud history of engineering. In most Western countries, certain engineering tasks, such as the design of bridges, electric power plants, and chemical plants, must be approved by a Professional Engineer or a Chartered Engineer or an Incorporated Engineer. Laws protecting public health and safety mandate that a professional must provide guidance gained through education and experience. In the United States, each state tests and licenses Professional Engineers. In much of Europe and the Commonwealth professional accreditation is provided by Engineering Institutions, such as the Institution of Civil Engineers from the UK. The engineering institutions of the UK are some of the oldest in the world, and provide accreditation to many engineers around the world. In Canada the profession in each province is governed by its own engineering association. For instance, in the Province of British Columbia an engineering graduate with 4 or more years of experience in an engineering-related field will need to be registered by the Association for Professional Engineers and Geoscientists [(APEGBC)] in order to become a Professional Engineer and be granted the professional designation of P.Eng. Both fields provide solutions to real world problems. 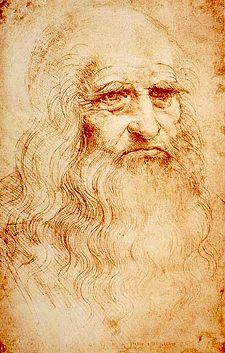 This often requires moving forward before phenomena are completely understood in a more rigorous scientific sense and therefore experimentation and empirical knowledge is an integral part of both. Medicine, in part, studies the function of the human body. The human body, as a biological machine, has many functions that can be modeled using Engineering methods. The heart for example functions much like a pump, the skeleton is like a linked structure with levers, the brain produces electrical signals etc. These similarities as well as the increasing importance and application of Engineering principles in Medicine, led to the development of the field of biomedical engineering that utilizes concepts developed in both disciplines. ↑ ABET History. ABET. Retrieved November 8, 2008. ↑ Engineers' Council for Professional Development. Science 94(2446):456. Retrieved November 8, 2008. ↑ Engineers' Council for Professional Development. 1947. Canons of ethics for engineers. ↑ 4.0 4.1 4.2 4.3 4.4 4.5 4.6 4.7 Engineers' Council for Professional Development. Encyclopaedia Britannica. (Includes Britannica article on Engineering.) Retrieved November 8, 2008. ↑ Barry J. Kemp, 2005. Ancient Egypt. (London, UK: Routledge. ISBN 9780415235501), 159. ↑ Ahmad Y. Hassan, The Crank-Connecting Rod System in a Continuously Rotating Machine. History of Science and Technology in Islam. Retrieved November 8, 2008. ↑ M.T. Wright, 2005. Epicyclic Gearing and the Antikythera Mechanism, part 2. Antiquarian Horology. 29(1):54–60. ↑ 11.0 11.1 Studying engineering at Imperial. Imperial College London England. Retrieved November 8, 2008. Studying engineering at Imperial: Engineering courses are offered in five main branches of engineering: aeronautical, chemical, civil, electrical and mechanical. There are also courses in computing science, software engineering, information systems engineering, materials science and engineering, mining engineering and petroleum engineering. ↑ Kermit E. Van Every, 1986. "Aeronautical engineering," Encyclopedia Americana. (Danbury, CT: Grolier Incorporated. ISBN 9780717201174), 226. ↑ Welcome to Chemical Engineering. University of Edinburgh. Retrieved November 8, 2008. Welcome to Chemical Engineering, which is celebrating 50 years this academic year, is part of the School of Engineering and Electronics (SEE), which includes the other three main engineering disciplines of electrical and electronic engineering, civil engineering and mechanical engineering. ↑ Katrina Arbe, 2001. PDM: Not Just for the Big Boys Anymore. ThomasNet. Retrieved November 8, 2008. ↑ Katrina Arbe, 2003. The Latest Chapter in CAD Software Evaluation. ThomasNet. Retrieved November 8, 2008. ↑ PDF on Human Development. ewb-uk.org. Retrieved November 8, 2008. ↑ MDG info pdf. sistech.co.uk. Retrieved November 8, 2008. ↑ Home page. APEGBC - Professional Engineers and Geoscientists of BC. Retrieved November 8, 2008. ↑ Ellen M. McGee, and G.Q. Maguire, Jr. Ethical Assessment of Implantable Brain Chips. Boston University. Retrieved November 8, 2008. ↑ C. Evans-Pughe, IEEE technical paper: Foreign parts (electronic body implants). IEEE. Retrieved November 8, 2008. ↑ Mission Statement. Institute of Medicine and Engineering. Retrieved November 8, 2008. "Mission statement The mission of the Institute for Medicine and Engineering (IME) is to stimulate fundamental research at the interface between biomedicine and engineering/physical/computational sciences leading to innovative applications in biomedical research and clinical practice." ↑ IEEE Engineering in Medicine and Biology. IEEExplore. Retrieved November 8, 2008. "Both general and technical articles on current technologies and methods used in biomedical and clinical engineering…"
↑ 26.0 26.1 Systems Biology. Royal Academy of Engineering and Academy of Medical Sciences. Retrieved November 8, 2008. "A vision for engineering and medicine in pdf: quote1: Systems Biology is an emerging methodology that has yet to be defined quote2: It applies the concepts of systems engineering to the study of complex biological systems through iteration between computational and/or mathematical modeling and experimentation." ↑ Online Lesson 5a; The heart as a pump. Science Museum of Minnesota. Retrieved November 8, 2008. ↑ Bones act as levers. Minnesota State University emuseum. Retrieved November 8, 2008. ↑ UC researchers create model of brain's electrical storm during a seizure. UC Berkeley News. Retrieved November 8, 2008. ↑ 30.0 30.1 Perfectly blending art, architecture and engineering. Lehigh University project. Retrieved November 8, 2008. "We wanted to use this project to demonstrate the relationship between art and architecture and engineering"
↑ 31.0 31.1 The Art of Engineering. National Science Foundation. Retrieved November 8, 2008. "Professor uses the fine arts to broaden students' engineering perspectives." ↑ The Art of Engineering. MIT World. Retrieved November 8, 2008. "Inventor James Dyson on the Art of Engineering: quote: A member of the British Design Council, James Dyson has been designing products since graduating from the Royal College of Art in 1970." ↑ The Institute for Interactive Arts and Engineering. University of Texas at Dallas. Retrieved November 8, 2008. 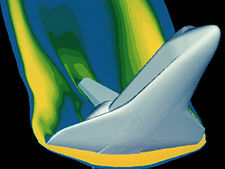 ↑ The Art of Engineering from NASA’s Aeronautical Research. Aerospace Design. Retrieved November 8, 2008. ↑ The Art of Engineering. The Chief Engineer. Retrieved November 8, 2008. "…the tools of artists and the perspective of engineers…"
↑ user website: cites Bjerklie paper. Drew U. Retrieved November 8, 2008. Billington, David P. 1996. The Innovators: The Engineering Pioneers Who Made America Modern. New York, NY: Wiley. ISBN 0471140260. Fung, Y.C., and P. Tong. 2001. Classical and Computational Solid Mechanics. Singapore, SG; River Edge, NJ: World Scientific. ISBN 9789810241247. Jazarī, Ismaīl ibn al-Razzāz, Donald R. Hill trans. (1206) 1989. The Book of Knowledge of Ingenious Mechanical Devices: Kitáb fí ma'rifat al-hiyal al-handasiyya. Islamabad, PK: Pakistan Hijra Council. ISBN 9698016252. Kemp, Barry J. 2005. Ancient Egypt. London, UK: Routledge. ISBN 9780415235501. Lord, Charles R. 2000. Guide to Information Sources in Engineering. Englewood, CO: Libraries Unlimited. ISBN 1563086999. Petroski, Henry. 1992. To Engineer Is Human: The Role of Failure in Successful Design. New York, NY: Vintage Books. ISBN 0679734163. Petroski, Henry. 1994. The Evolution of Useful Things: How Everyday Artifacts-From Forks and Pins to Paper Clips and Zippers-Came to be as They are. New York, NY: Vintage. ISBN 0679740392. Simpson, J. A., and E.S.C. Weiner. eds. 1989. Oxford English Dictionary. Oxford, UK: Clarendon Press; Oxford, UK; New York, NY: Oxford University Press. ISBN 9780198611868. Vincenti, Walter G. 1993. What Engineers Know and How They Know It: Analytical Studies from Aeronautical History. Baltimore, MD: The Johns Hopkins University Press. ISBN 0801845882. Wheeler, Lynde Phelps. (1951) 1998. Josiah Willard Gibbs - the History of a Great Mind. Woodbridge, CT: Ox Bow Press. ISBN 1881987116. American Society for Engineering Education (ASEE). The US Library of Congress Engineering in History bibliography. ICES: Institute for Complex Engineered Systems, Carnegie Mellon University, Pittsburgh, PA.
History of engineering bibliography at University of Minnesota. This page was last modified on 6 September 2017, at 16:24.